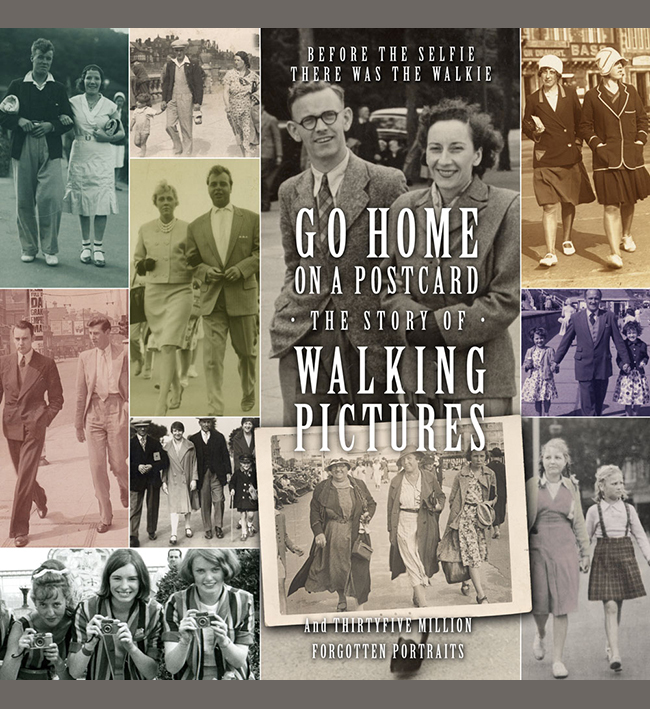 Here’s another of the attractive Sunny Snaps walking picture cards, sent in by Gill Tucker from the Worthing Local History Society. Although not identified, locals have recognised the columns of St Paul’s Church on Chapel Road in the distance (just above the hat of the gentlemen on the right in fact!) It was found in the West Sussex County Council archives. Dated 1938, the contrast between the very formal dress of the two gentlemen and the casual wear of the three young lads immediately behind them could hardly be greater. It would be the last peace time summer for any of them for several years. Sunny Snaps appear to have largely ceased work once WW2 began except in London, where they carried on for a time and also began taking walkies again after the war for a few years. The story of the firm can be found on the site. This entry was posted on November 10, 2017 by simon robinson. It was filed under Uncategorized .